Epidural analgesia is associated with hyperthermia during labor and presumably causes it, although no convincing mechanism has been postulated. It seems likely that fever associated with pyrogenic factors related to labor is suppressed by opioids, whereas it is expressed normally in patients given epidural analgesia. We examined this hypothesis and the possible etiology of temperature elevation in labor. In this prospective, randomized, controlled study, we assessed 201 parturients during spontaneous labor. Analgesia was randomly provided with one of four treatment groups: (1) epidural ropivacaine alone, (2) IV remifentanil alone, (3) epidural ropivacaine plus IV remifentanil, and (4) epidural ropivacaine plus IV acetaminophen. At randomization, patients were normothermic. Intrapartum hyperthermia (≥38°C) was correlated to the analgesic technique. The maximum increase in oral temperature was greatest in the ropivacaine group (0.7 ± 0.6°C) and least in the remifentanil group (0.3 ± 0.4°C; P = 0.013). The percentage of patients who became hyperthermic (≥38°C) during the first 6 h of labor was greatest in the ropivacaine group (14%) and least in the remifentanil-alone group (2%), but the difference was not statistically significant. 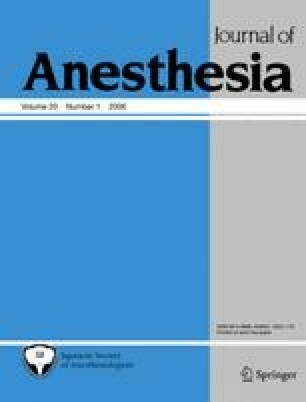 The maximum forearm-finger gradients were lower (less vasoconstriction) in the remifentanil group when compared to the gradients in patients with epidural analgesia (1.4 ± 1.8 vs 3.0 ± 1.7, respectively; P < 0.001). Our results are consistent with the theory that low-dose opioids inhibit fever in patients not given epidural analgesia. However, in view of the negative results, the hypothesis of epidural-induced hyperthermia may be questionable.